The L16 camera uses multiple lenses for multiple light sources that can be combined into a single picture. The L16 replaces the bulk and weight of a traditional single-lens camera with many small lenses and sensors that lie at 45-degree angles across a flat plane. When the L16 is fired, light enters 10 or more apertures. Using folded optics, the L16 bounces this light off periscopic mirrors, through horizontal lens barrels and onto individual optical sensors. The result is one exquisite 52MP photo, formed from 10+ slightly different perspectives. L16 technology generates high-res, low-noise, frame-worthy photos from the first snap, but it also gives photographers full access to their files for further manipulation in post-processing, including Noise reduction, Depth of field control and Synthetic focal plane adjustment. Some of the ideas implemented in this product have been imagined before. 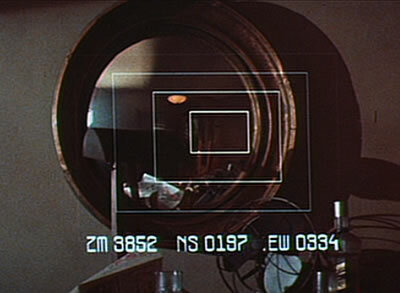 Fans of the 1982 movie Blade Runner recall the esper photo analysis machine that Deckard uses to track the replicants. He can arbitrarily select a part of the picture, and zoom in to bring any portion into perfect focus.